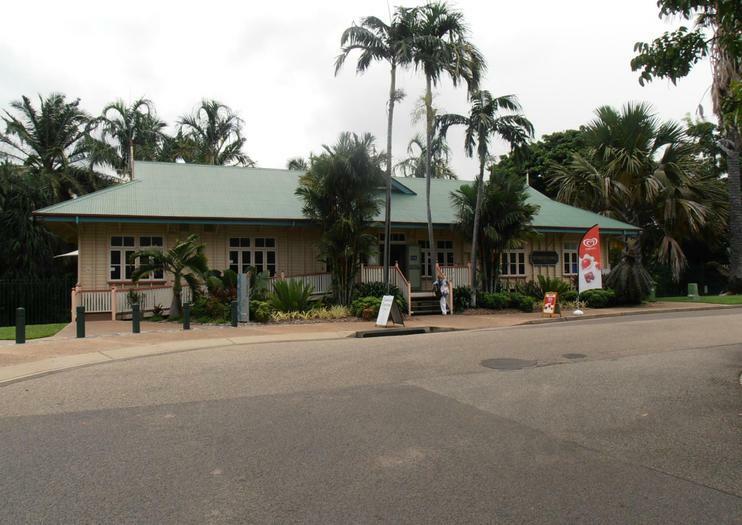 Situated at the entrance to Palmetum gardens, the Tumbetin Tea Rooms are part of Townsville’s historic Tumbetin Lodge. Built from Australian Silky Oak in 1934, it served as both a railway house as well as a Catholic school. After being relocated to Palmetum gardens in 1993, it now provides visitors a classy site for brunch and afternoon tea. Relax inside the historic venue with a cup of loose leaf tea, and nibble on freshly baked pastries and cakes just steps from thousands of palms. Popular among locals for wedding receptions, the Tumbetin Lodge is one of Townsville’s most comfortable and scenic venues, and after sipping that last cup of tea, enjoy a stroll through the neighboring gardens and hundreds of species of palms. If you’re lucky, you might spot a Blue Winged Kookaburra flitting about in the palms, or brush turkeys silently stalking their way through the bush below. The Tumbetin Tea Rooms are located inside of Historic Tumbetin Lodge, which is open daily from 9:30am-3:30pm at the entrance to Palmetum Gardens. Advance reservations are required for high tea, and the space can sometimes be completely sold out during private parties and events.